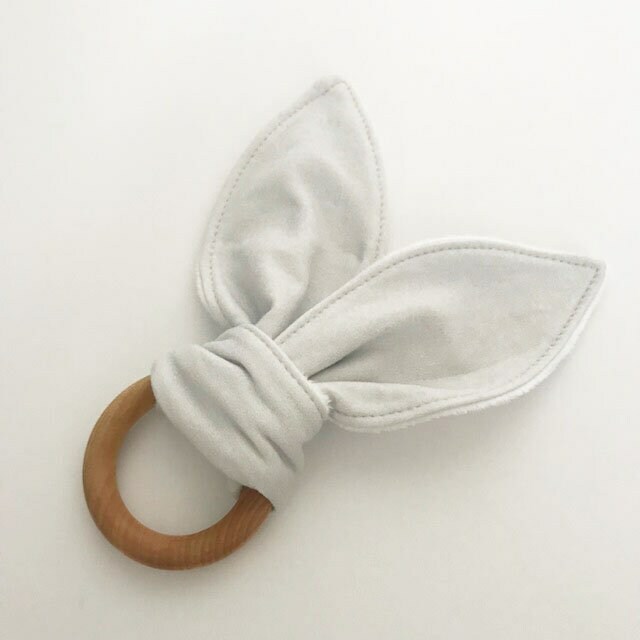 ...[INFO]...Natural wooden teething ring. 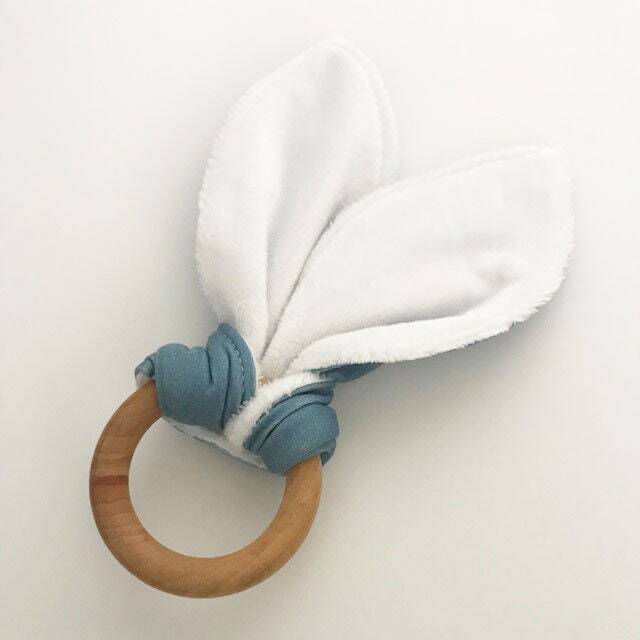 Made with a 3" wooden ring sealed with organic beeswax and coconut/olive oil. 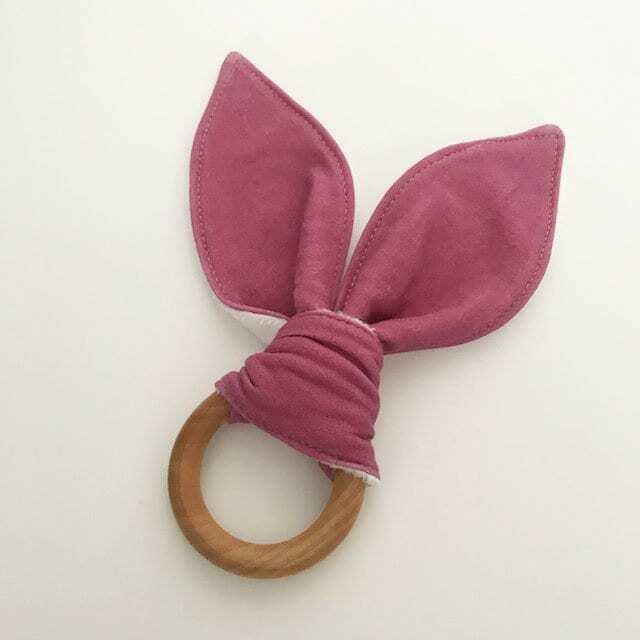 "Bunny ears" made or organic knit fabric and backing in a smooth absorbent minky fabric. ++ This item is made to order and you can select your color/s in the drop down menu when adding the item to you car. All other photos are samples only. 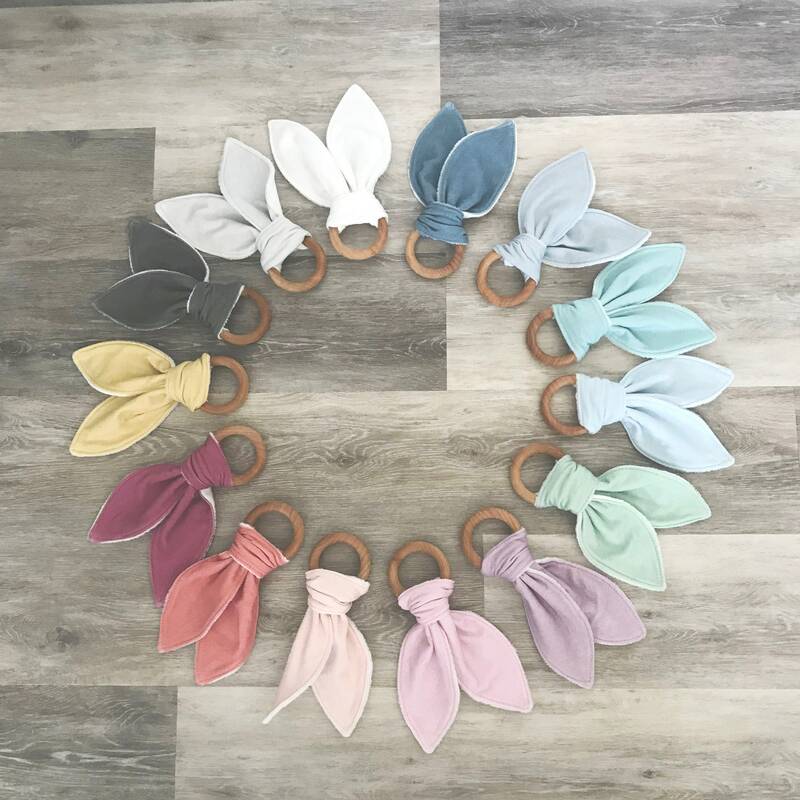 ==> BUY MORE AND SAVE. 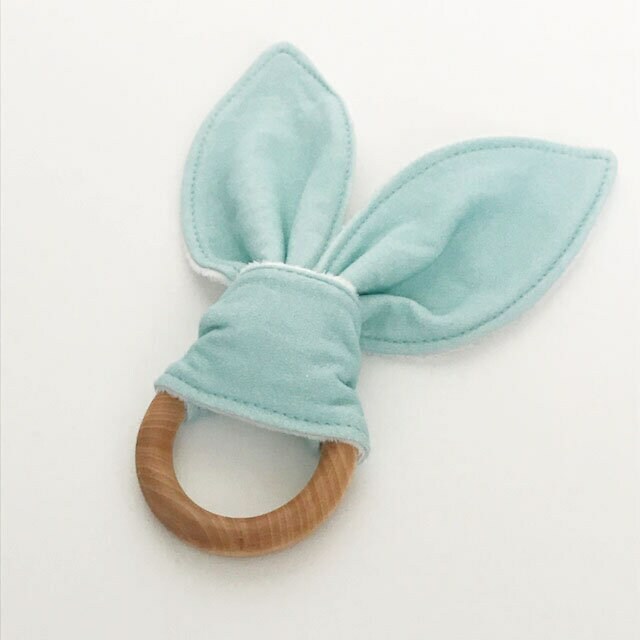 If purchasing multiple teething rings please leave color choices in the notes to seller. 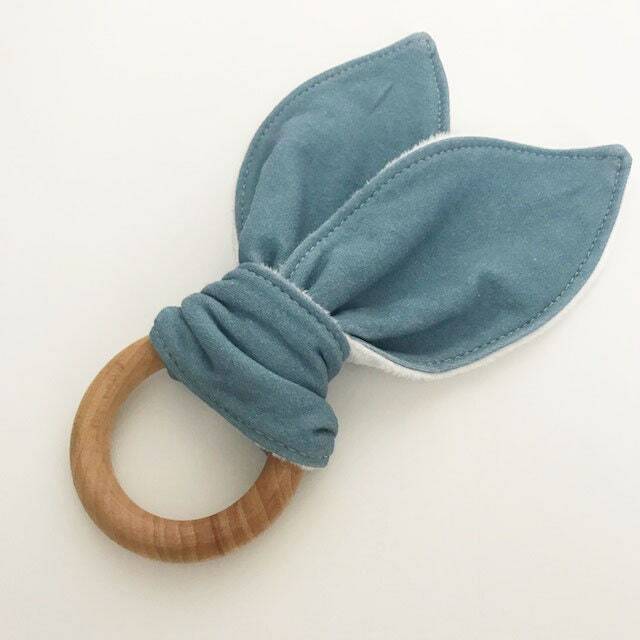 ...[CONSTRUCTION]... Each teething ring is made from a layer of organic knit fabric and backed with a smooth minky fabric. 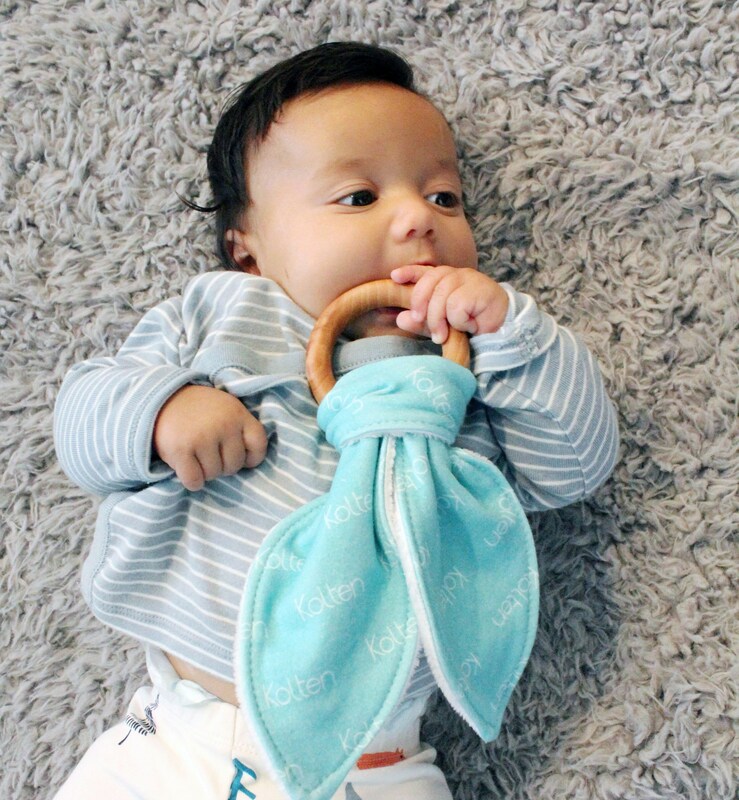 They seams are sewn with a serger for durability. I digitally designed the fabric and it is printed exclusively for PETUNIAS. 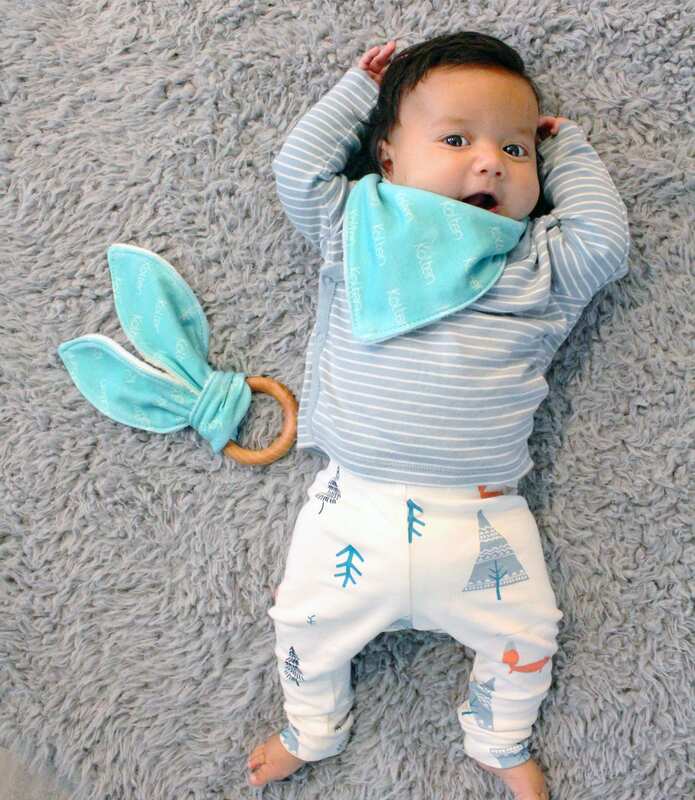 ...[EASY CLEANING]...Machine washable and dryable. 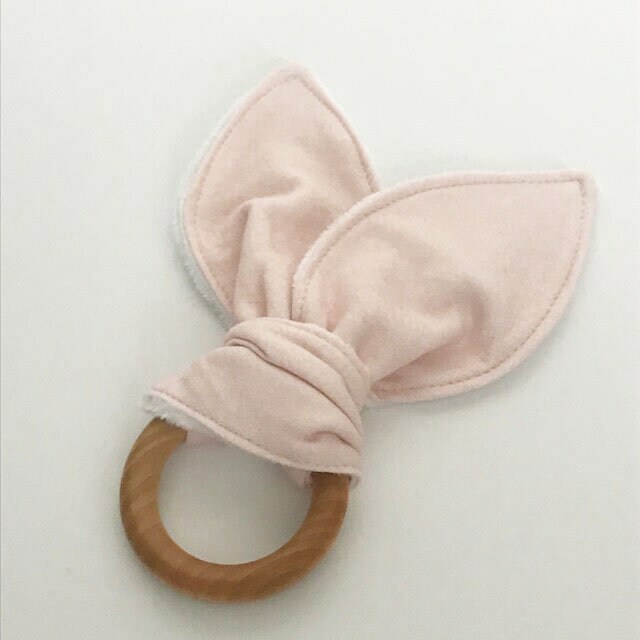 Please remove bunny ears from wooden ring before washing.